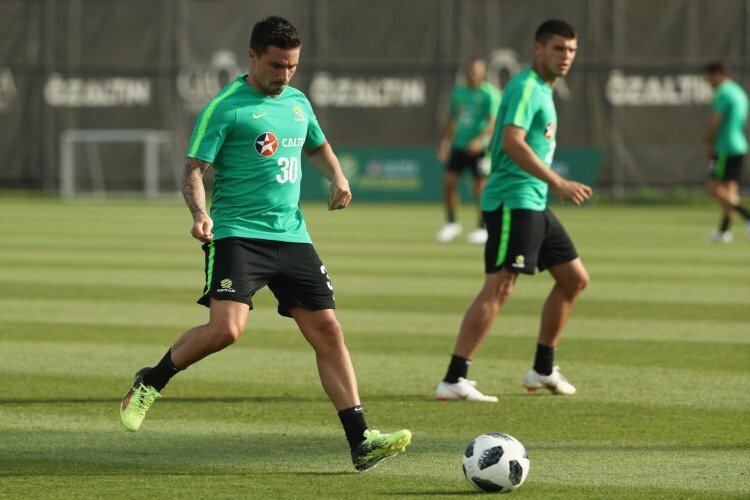 Socceroos striker Jamie Maclaren says he's eager to get to work for his new A-League club Melbourne City. The lure of family and playing under the City Football Group clinched Jamie Maclaren's return to the A-League with Melbourne City. The 25-year-old Socceroo, who has signed a long-term deal that elevates him to marquee next season, said he was flattered by City's offer to play in his home town. More than that, he simply wants to enjoy his football again. Since leaving Brisbane Roar at the end of a 20-goal season in 2017, the Melburnian has endured half-starts at German club Darmstadt and Scottish home Hibernian as well as a bittersweet breakthrough for the Socceroos at last month's Asian Cup. With Hibernian sacking manager Neil Lennon in the past week, he opted to pack in his second overseas adventure for a return home. That's attracted criticism from some fans and commentators that believe he should have stuck it out in Europe. Maclaren has given them short shrift. "I left (home) at 15, living away from family for 11 years," he said. "It's not been easy but I've enjoyed the ride. I've been around. I've been to Perth, Brisbane and Germany. "I'm 25 but I've seen and heard enough from fans (that criticise). "They're only looking out for themselves and I'm looking out for myself. "City offered me a great deal. I've always wanted to play in Melbourne. It's always been a dream of mine to play in front of my family. "People think Europe is the Holy Grail. End of the day if you're playing football at any level it's great." Maclaren's sister - who coincidentally works for Melbourne Victory - is pregnant for the first time and due to give birth in July. "Do I really want to miss on those things?" Maclaren asked. "When an opportunity arises like this from Melbourne City to come back home and really enjoy it I snapped at the opportunity." In return for their investment, City want goals - and Maclaren says he can deliver. "They wanted a striker who just wants to be in and around the 18-yard box and get on the end of crosses," he said. "That's my sort of job, be in the box, be dangerous. I am not going to change as a player. I have always been me, I have always been a goalscorer." Maclaren also believes City, currently fifth, can make an unlikely title charge in the same manner as Victory last season. "I know how the A-League works. If you are in the top six you have every chance to win it." "There are ten games to go now. We believe we can get these results and climb up the ladder and push for silverware."